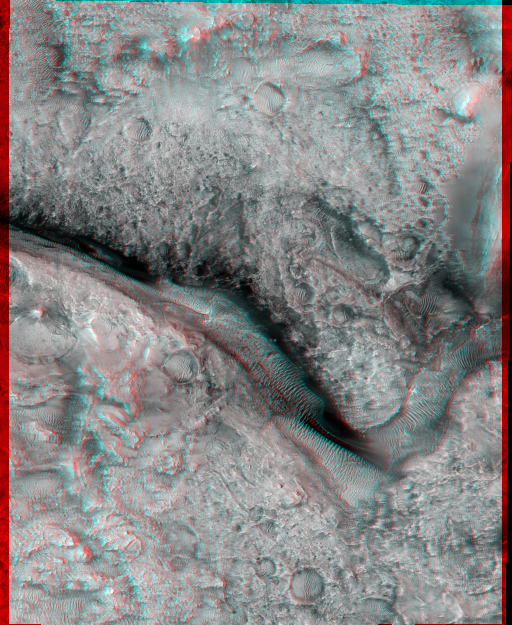 Stop what you’re doing, grab the nearest 3-D glasses (red/blue type) you have available and then pretend you’re hovering above Mars for a while. These are some of the latest images from the Mars Reconnaissance Orbiter, which has been cruising above the planet since 2006. Make sure to click through these pictures to see the full, raw files from the University of Arizona’s High Resolution Imaging Science Experiment (HiRISE) web page. HiRISE was the imager that took these pictures. Enjoy!